Pastor Samuel Burton was raised in Magna, Utah and brought up in the ministries of the Anchor Baptist Church of Salt Lake City Utah. He was home-schooled for the first few years of his education until becoming enrolled in Anchor Christian Academy his fourth grade year. During this time, the Lord used many incredible mentors in his life. These came in the form of pastors, teachers, and especially his parents! After completion of high school in 2010, he was not exactly sure what the Lord's will for his life was. He was however offered an assistant teaching position at the Academy from which he had graduated the school year before. Not having had a job lined up at the time, he jumped at the opportunity. Also, he began taking classes at Anchor Baptist Bible College and Seminary with an emphasis on Christian Education. It was on July 18th of 2012 that he surrendered to the call to preach! The Lord affirmed His will from Jeremiah chapter one. As it happened, that was in his devotions on Sunday and the Lord used the messages later that day to further re-enforce His calling. With a more clear goal in mind, he switched his focus to a Bachelors in Arts of Biblical Studies for his degree. After much study and the Lord's great grace, he achieved this goal in May of 2015. 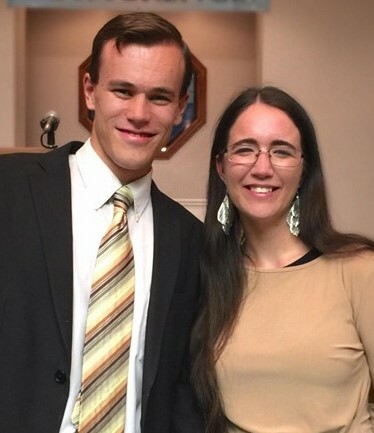 He and his wife, Desiree (whom he married in August of 2014) needed to discern the Lord's will as to a specific ministry. Up until this point in time, they had been ministering to a small group of believers in nearby Park City Utah that had been without a pastor. In September of 2015 the Lord impressed them with the idea that they should stay there and continue the work until His appointed time. They now continue in that capacity to the present day and only the Lord knows what further He has in store for this ministry. Please contact us for current meeting information. Copyright © 2019 Park City Baptist Church. Proudly powered by WordPress	& The WP Theme by ceewp.com.